Good value. Plenty of kit in a roomy cabin. Enjoyable rear-drive road manners. Not everyone will like its distinctive looks. Hot CTS-V model not as satisfying as a Monaro VXR. What does ‘Cadillac' mean to you? A vast V8, V12 or V16 from the 1930's? A befinned behemoth from the 1950s? A Ghostbusters ambulance? An Eldorado pimpmobile? A long, black hearse? A Seville, unsuccessfully imported from the mid 1970s to mid 80s, then again in the 1990s? 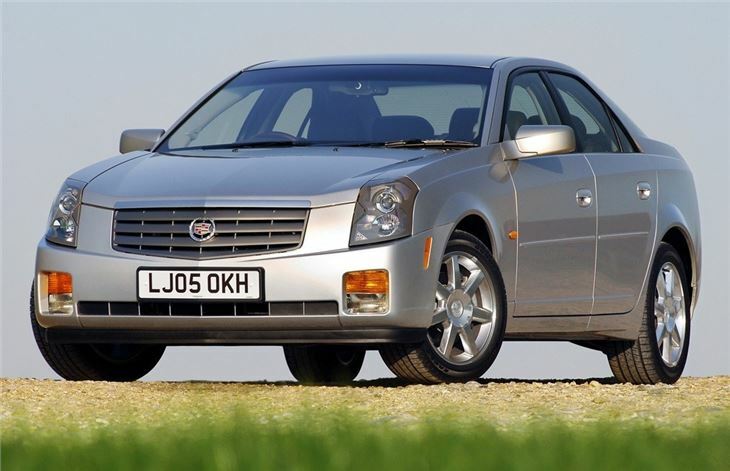 Unfortunately, Cadillac's brand values as one of America's finest cars have been diluted by some terrible dross, but you can't blame General Motors for wanting to re-establish its best name as its best car. That wasn't going to happen if they continued to build them the same old American way. So Cadillac's fresh new cars are built in a fresh new factory at Lancing, Michigan, to quality standards that, in the latest JD Power surveys, even beat Lexus. They're good value, too. Starting at £25k for the 215bhp 2.8 and rising to just £30k for comprehensively equipped 257bhp 3.6 which is bound to be the best seller and is the subject of this test. Its looks are a bit of an acquired taste, especially that chunky front which also adorns the latest US presidential limousine, and the rather brash boot. But the side view is fine and at least the car is distinctive and carries a certain amount of prestige. Nothing else looks anything like it.Cadillac is only looking at limited numbers for the UK market, so buy one and, until the end of the year at least, you'll have a car that looks very special but very few people know what it is.